Everyone wants to have an impressive smile – a bright smile that reflects our inner confidence and makes other people instinctively like us. However, not everyone is lucky enough to have that “Hollywood” smile, either due to extrinsic or intrinsic factors. If your smile isn’t everything you want it to be, Ria Family Dental can help. 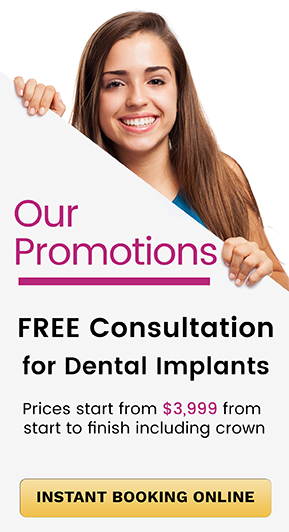 A brighter smile can be yours if you take advantage of our teeth whitening options. Get a more radiant smile today! Science has confirmed what most of us already know – that a bright, white smile makes people seem more attractive. Researchers from the universities of Central Lancashire and Leeds photographed models then digitally altered the spacing and colour of their teeth. 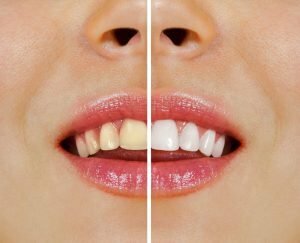 Teeth were coloured yellowish brown, healthy white, and an extremely white colour that can only be achieved using bleaching. Not surprisingly, white teeth were seen to be most attractive. This is only one of the benefits of seeing your Ria Family Dental dentist for tooth whitening. Your teeth are exposed to different things that can discolour them. Keeping your teeth bright and glowing can be very challenging. The first step towards better-looking teeth is understanding the common culprits of staining and darkening. The following are the common causes of tooth discolouration. Teeth whitening is a non-invasive, routine, and effective dental treatment that improves the shade of your teeth to increase the beauty of your smile. The best candidates for professional teeth whitening have healthy teeth without fillings or restorations, and healthy gums. The first step is to determine if teeth whitening is for you. Your Ria Family Dental dentist will perform a thorough examination of your teeth, gums, and health, as well as assessing your overall oral hygiene and lifestyle habits to determine if whitening is a good choice for you. Some dental work, including crowns and veneers, do not respond to conventional whitening agents. At Ria Family Dental we have in-office teeth and take-home teeth whitening options for our patients. In-office teeth whitening is the most requested cosmetic dental treatment in the world. In-office whitening is performed under carefully monitored conditions. Unlike take-home systems that use low-dose bleaching agents, in-office whitening takes place under carefully monitored conditions which allow for the controlled, safe, pain-free use of a relatively high concentration of bleaching gel – yielding results that are visible immediately and can brighten teeth up to eight shades in one visit. Professional at-home teeth whitening kits are obtained from your dentist, and they contain a high concentration of either hydrogen peroxide or carbamide peroxide. Custom-fitted dental trays are created to hold the whitening solution on the surface of the tooth and reduce exposure to the other parts of the mouth and/or digestion. Impressions are made of both your upper and lower teeth. The impressions are sent to a lab to create trays for the whitening agent. When the trays are constructed, you will be shown how to properly apply and dispense and apply the bleaching solution. Before starting an at-home procedure, you need to brush, floss, and completely rinse out your mouth. The procedure is typically performed daily for two weeks. You need to avoid drinking, eating, or smoking while wearing the trays and for 30 minutes after. Enjoy life’s best moments better with brighter teeth and a stunning smile. There’s nothing more we want than to give you the smile you deserve. Ria Family Dental currently offers a $250 take home kit consist of 3 tubes of zoom bleaching gel, upper and lower treys and tube of tooth mousse.